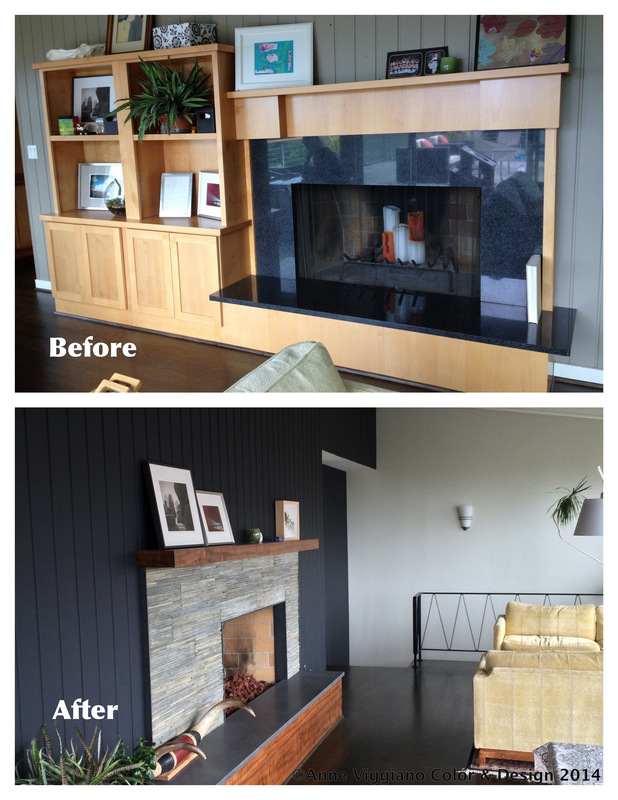 This fireplace was in drastic need of an update. It was stuck in 1990, what a travesty considering it exists inside the most lovely West Seattle Mid Century home with an amazing view of the water. The homeowners are very savvy with design and collaborated along the way along with the contractor. We had restrictions related to the firebox and the hearth dimensions- we did not want to have to redo the floors. This was a fun challenge that worked out very well thanks to Carl Berg with Viking Craftsman. Previous PostReality check // Contemporary style in a traditional home- it’s ok! Next PostActual Factual // Today’s topic, Countertops- just scratching the surface.